St. Jean de Brebeuf CHS in Vaughan for winning 2nd place in OCSTA’s “The Story Behind the Name of Our Catholic School” Short-Video Contest for Secondary Students. 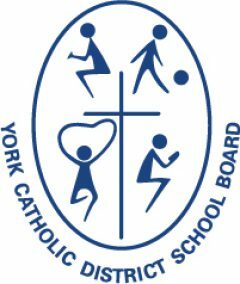 The York Catholic District School Board thanks all students who created a video and thanks them for their participation. Congratulations to St. Michael the Archangel CES in Woodbridge, St. Brendan CES in Stouffville, and St. Jean de Brebeuf CHS in Woodbridge for being shortlisted in OCSTA’s The Story Behind the Name of my Catholic School video contest! The Ontario Catholic Schools Trustees’ Association (OCSTA) challenged Catholic students across the province to delve into the history of their school’s namesake, and create a 2-minute video about their story. All video submissions can be viewed online. YCDSB wishes its finalists the best of luck in this contest. Winners will be announced at the OCSTA’s annual Catholic Trustees’ Seminar on January 13, 2017.